"In 2004, Gadsden County was caught in one of the deepest cycles of violence, poverty and incarceration in all of Florida. Then Morris Young was elected sheriff. And with the help of a chaplain, a judge, a schools superintendent and churchgoers, he has managed to turn things around. "We cannot incarcerate our way out of crime," Morris told #nytopinion. 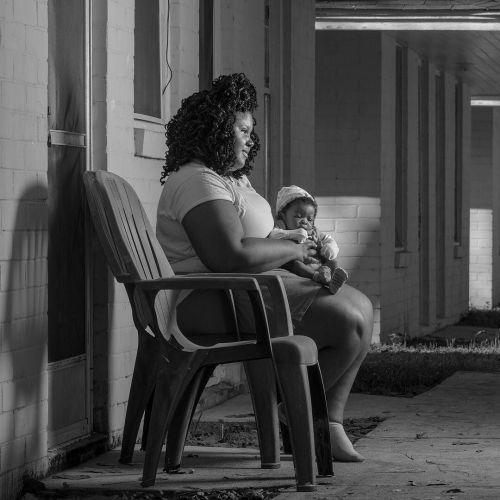 The photographer @fredrconrad took this photo of Caria Shorter sitting with her 3-month-old son, Quez' Darious Mitchem, in front of her room at a shelter run by an evangelical couple in #GadsdenCounty. Visit the link in our profile to read more about how an unusual collaboration is transforming lives in Florida." By nytimes on Instagram.